From the egg to a grown frog! Print these life cycle of a frog worksheets and let’s do some learning! Frogs are a great learning subject for kids from preschool to higher grades of elementary school and beyond and they have been for generations! When I was a kid I remember how excited I was if I found a frog or a toad in the backyard (my mother a bit less hehe) and how “far out” the tadpoles were, especially as the idea of an animal starting it’s life in water and then continuing it’s life on land seemed so weird at that time. I want to make learning about frog life cycle really fun so I made a quite a few different “worksheets” to do just that. 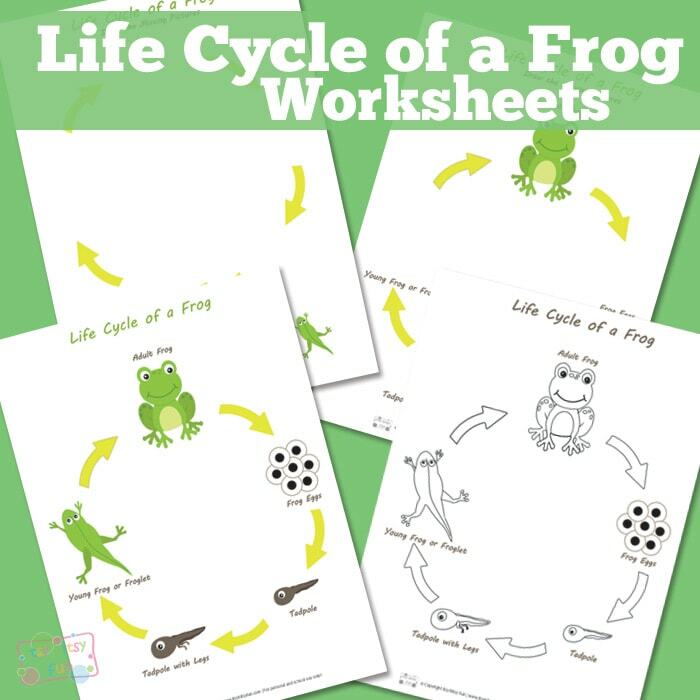 The first one has a complete life cycle of a frog on it – with images and description so it’s not technically a “worksheet” but a life cycle printable. Second one has all the info too but is in black and white so kids can color it themselves! We’ve got one with all the images and without names so kids can write them down by themselves. But as kids are super creative there are also a few worksheets where they have to draw in the missing parts of the frog life cycle – with hints or without them (these are my favorite!). 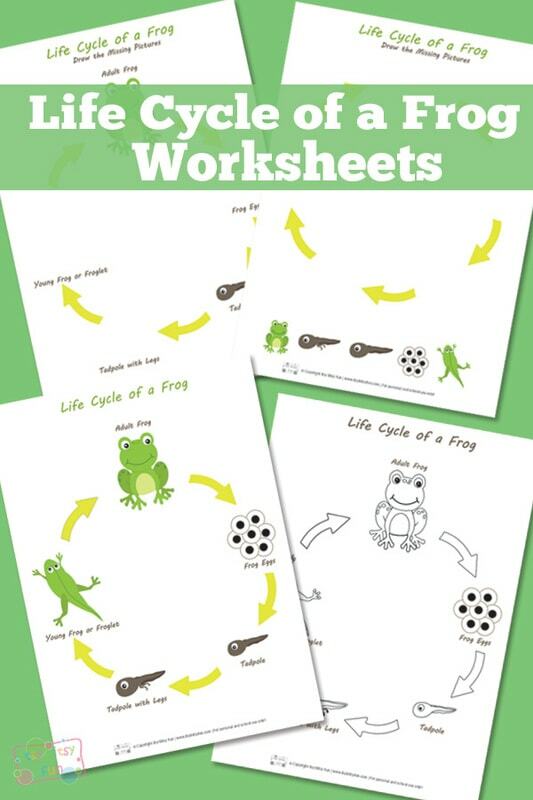 Get your free printable Frog Life Cycle Worksheets here. So your kids are now rocking the life cycle of a frog but how about a pumpkin? There are quite few fun pumpkin life cycle printables waiting for them to start learning! If they are totally into frogs on the other hand you can give them this printable frog activity book to solve – it will keep them busy for a while.